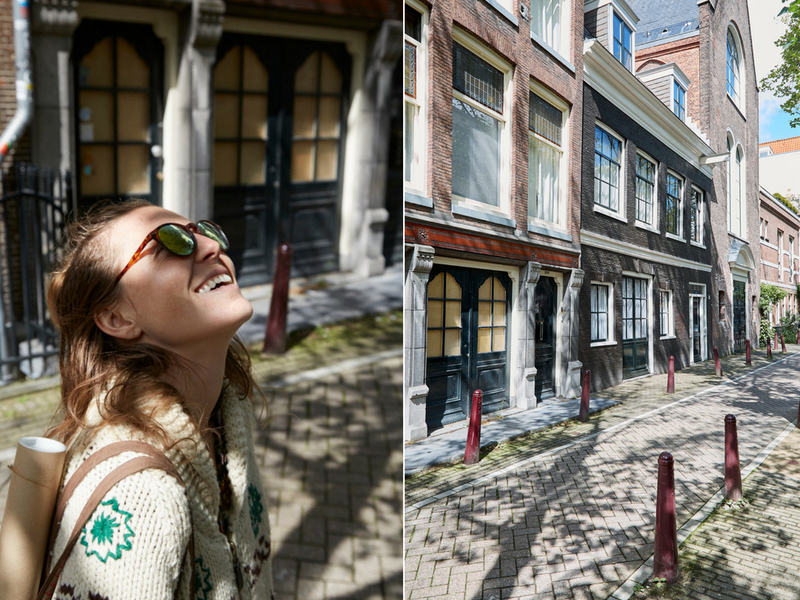 Amsterdam offers a happy medium between major metropolis and village vibes with ease. It’s a credibly conscious culture offering healthy living throughout its bright and sunny streets, balancing the conventional and unconventional, naturally. 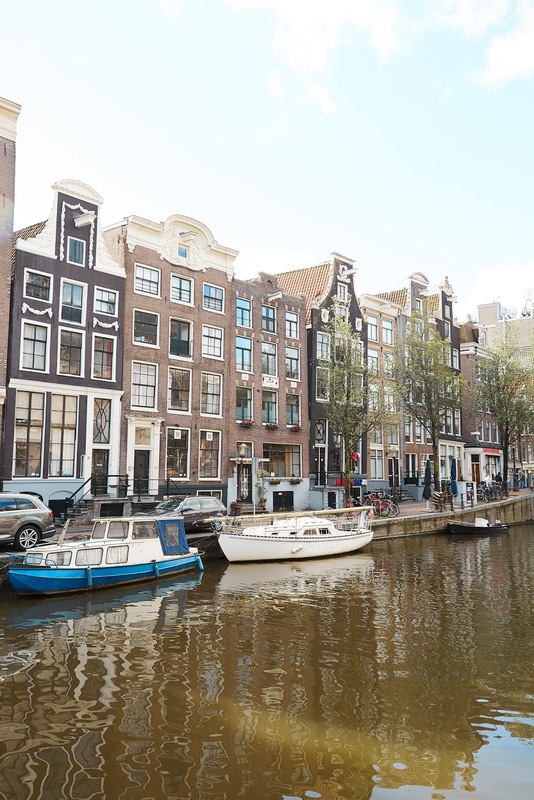 Stress-free and happy its citizens are patient and polite with the torrent of tourists which wander through their quiet streets, generously sharing their lush green parks, serene canals, fresh food, authentic art, incredible architecture, and meaningful history. It’s a city worth discovering in the way it is meant to be seen: by bike, on foot, or in the hull of a boat gone green. Made from locally grown organic produce, the cold-pressed juices from The Cold Pressed Juicery are delightfully fresh. They maintain a waste-free policy by reusing their juice pulp in raw food snacks and nut-milk instead of throwing it out. They do package their products in plastic to-go, but they’ll happily full yours if you BYO. 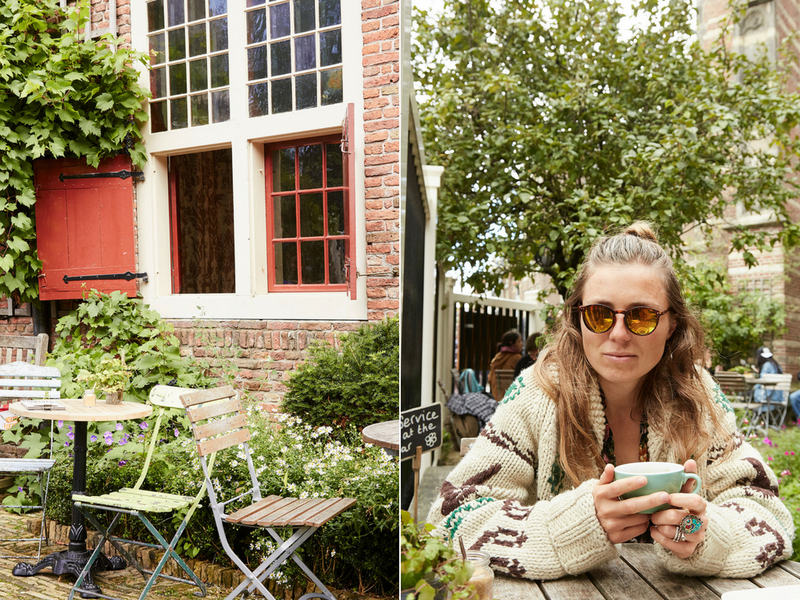 Set on the charming garden terrace of an 800-year-old church, this little café is worth stopping in to for a cuppa. They offer delicious homemade food, vegan-friendly soups and snacks, as well as gluten-free cakes and other goodies on their daily changing menu. Welcoming you with warmth, this café comme bar might be the comfiest conscious place in Amsterdam beyond your own grandmother’s living room. With a plethora of antique velvet couches and chairs to cozy up in, a variety of vintage board games and books to entertain you, and a menu of delicious freshly made food and drinks to satiate you, you could easily pass an entire day enveloped in this place’s lovely embrace. With a menu made up of 80 percent food surplus, this restaurant offers a variety of delicious dishes based on what food comes in, meaning each time you visit the courses on offer will be different. They offer vegetarian and vegan options as well which you can inform the kitchen of when you call for your reservation, ideally on one of their beautiful terraces, anytime from morning to night. 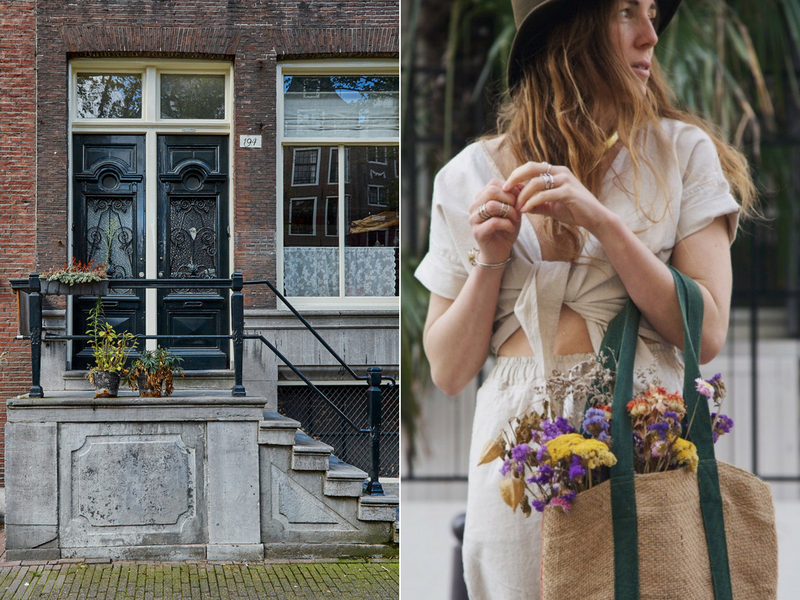 This light and airy store offers a subtle glimpse into a greener future with its diverse selection of beautifully curated clothing, homeware, skincare, art, and accessories all made ethically from eco-friendly fairtrade hemp (arguably the greenest fiber our planet has to offer). Within the wondrous shop is a cozy min-café offering hemp teas and coffees alongside other tasty snacks and treats. A lovely collection of curated clothing for men and women, from brands who have produced their apparel with the planet and its inhabitants, animals included, in mind. 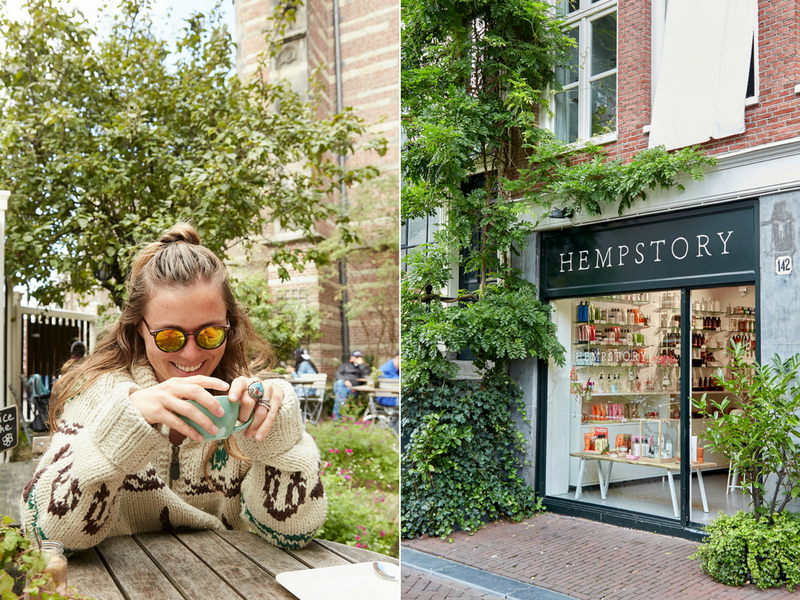 They carry mostly European brands including Dutch vegan-friendly brands like Taj Amsterdam, Hoodlamb and Studio JUX. 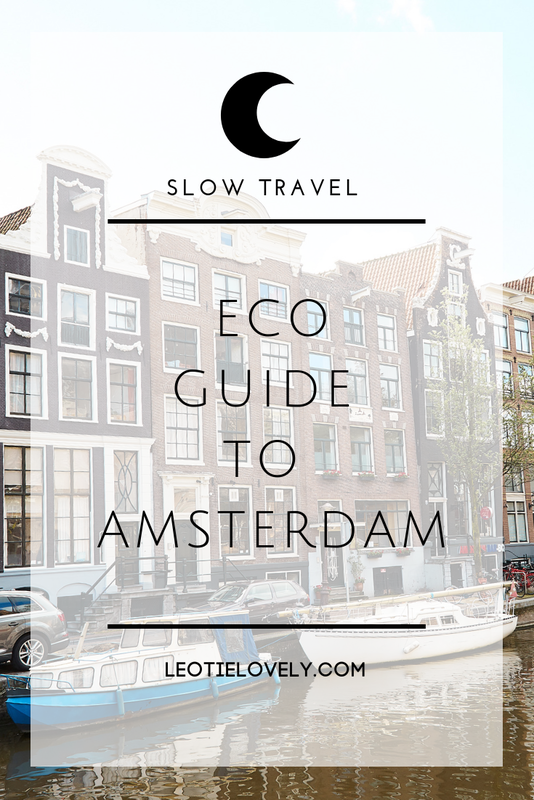 This collection of four conscious hotels, located around Amsterdam, are arguably the most sustainable in the city. The hotels are powered by renewable energy captured in thermal energy storage, designed with eco-friendly materials including living plant walls and rooftops, while serving 100% organic food ... offering a green experience beyond the usual. This arty hotel comes with all the hipster fixings without the hipster price tag nor the hipster judgment. It's a welcoming community space, created for anyone and everyone, with a rooftop bar, cafe, and sauna that will move your soul. Based on their snarky auto-reply email designed to belittle any well-intended (or ill-intended) blogger or influencer interested in visiting the space, my experience with the place was anything but pleasant (after the email, a phone call, and a visit with an unhappy character, we ended up sleeping in our car instead). That said, the eco-hotel slash hostel offers a plethora of eco-friendly, affordable and aesthetic initiatives: from natural stone heating, cradle-to-cradle furniture, efficient water systems, philanthropy, and overall promotion of conscious living (apart from the part where you endeavour to be kind to other human beings).